Meathead Movers is not your typical moving company. What makes them different? Well, just about everything. 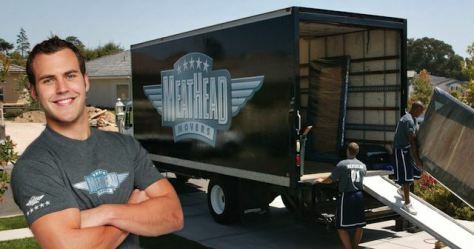 Aaron and Evan Steed started Meathead Movers in 1997 when they were high school athletes looking to make a little money on the side. The ‘little money’ consisted of $20 and a pizza back then. Their business started to grow, hiring more student athletes to bank on their brawn and work ethics. What was good about that is, they could be vetting the requests for help, supporting the women with counseling, and making sure when we went in, the proper restraining orders were in place, or police were on hand if necessary. Meathead now specializes in abusive moves. It’s important to note that they don’t discriminate against men who are victims of domestic abuse; their services are available for anyone who is suffering. For every single box packed by our Princesses, we are proud to donate $1 per box to The Cinderella Fund on your behalf. The Cinderella Fund provides grants to children whose families are suffering hardship. Whether it’s the child of a single mom who escaped domestic violence with the aid [of] our local women’s shelter programs or one with a parent stricken with cancer, we aim to help these children fulfill their dreams by providing resources to nurture their development in athletics, the arts, and education.